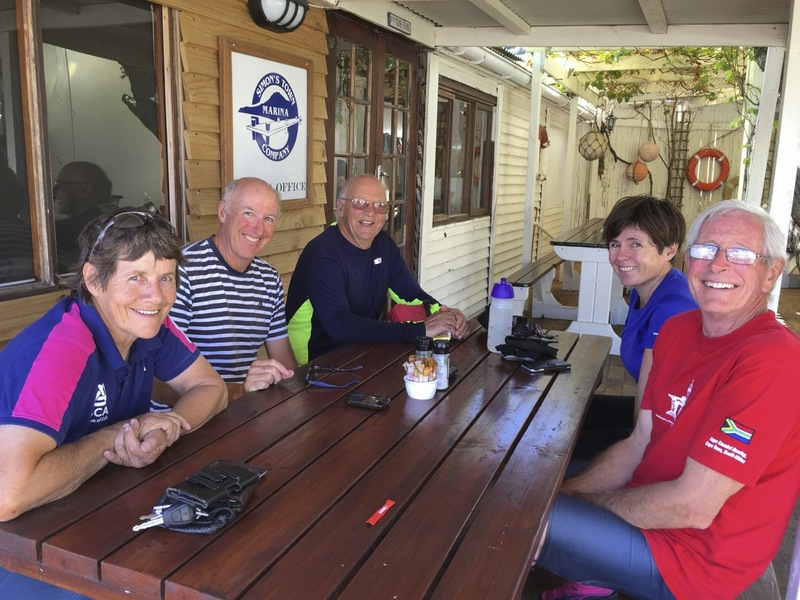 On my last visit to South Africa, which included at least three weeks of intense rowing with the Cape Coastal Rowing Club in Simon’s Town, Derrick was just knocked out. The Rowing Witch had caught him. 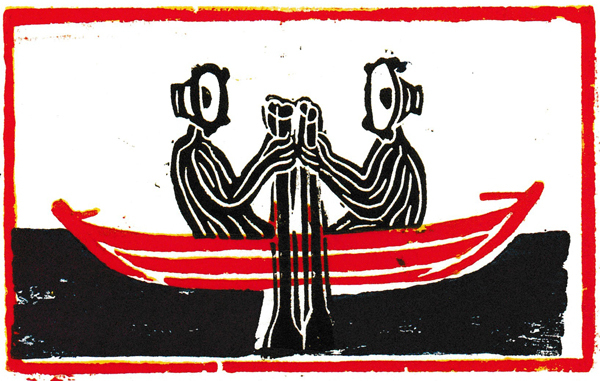 The Rowing Witch is an old acquaintance of mine. She hits people who start rowing when the weather is cold at about the third stroke and throws them out. She also likes to kick people in the back when they are carrying or turning over rowing boats. Derrick met her for the first time, but it’s an intense meeting. And it’s touching to see how concerned his team members are. I can see that on WhatsApp, all the empathy and good wishes. There is a good reason for it. Derrick is the authority in the club, whenever it’s about technique. And, by the way, also its founder. Watching with his high performance binoculars from his big panorama window on the hillside above Simonstown, he doesn’t miss anything his “students” are doing down on the water, although he is handicapped through injury. And they swear by him. 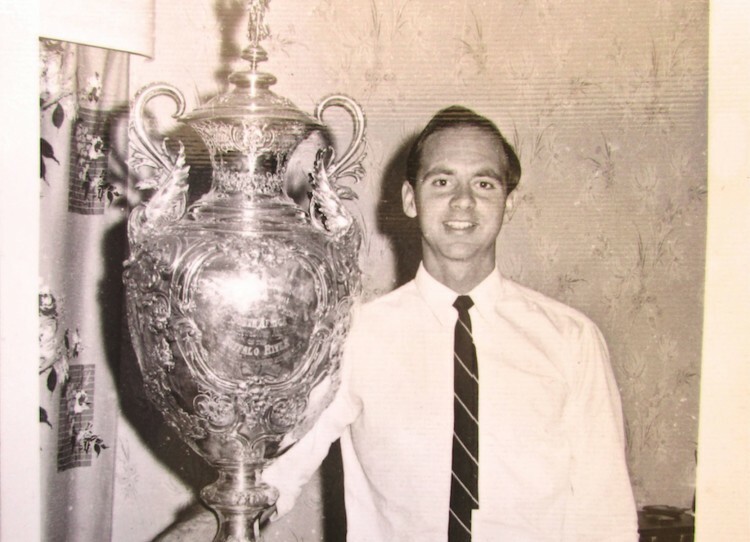 The man is 73 and looks back on a life of outstanding rowing experiences. He started rowing as a young man in Johannesburg at university. Obviously equipped with talent, he did reach the top South Africa rapidly. His self-confidence was not very high, though, he tells me. South Africa definitely did not belong among the big players at that time, but Derrick and his crew were looking for opportunities and the temptation to step on the big stage was real. Mexico 1968 was a dream. But for political reasons there was no way they could participate in the Olympic Games. Instead, Derrick and his wife Allison went to England, got work permits and remained for three years. 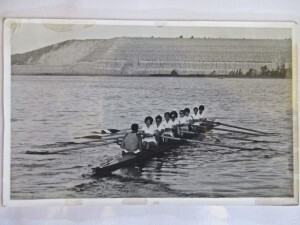 This was also a period of intense rowing, learning and training. When Derrick returned to South Africa, he was so fit and experienced that he was appointed coach of the rowing team at the University of the Witwatersrand in Johannesburg. Under his guidance they became so good that they beat the University of Cape Town crew for the first time ever. In the end he took over coaching both teams. In the early 1970s flying between Joburg and Cape Town every week to work two jobs was unheard of. Today nobody would care. 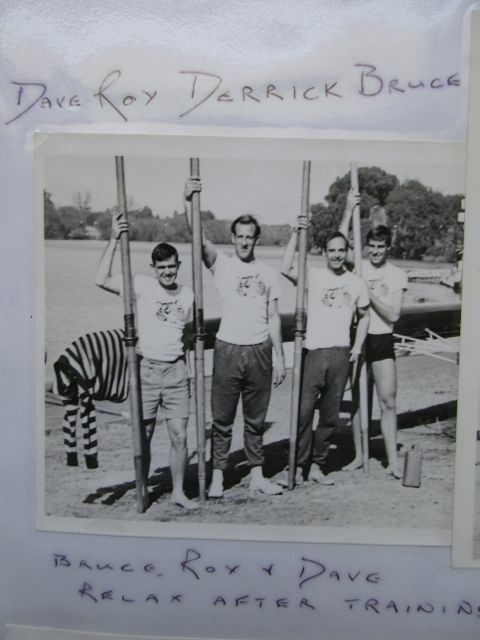 In 1980 there was an invitation from abroad via “dark channels”: to take part in the 8th Fisa Masters Regatta in Denmark. Derrick and his team had to catch the opportunity. They went there, in the guise of an English club, with low expectations. They won. These guys really had the power and the spirit, but after their victory they immediately had to leave, to avoid attracting too much attention. What a scene, the champions hiding away. But it was like that. They went on to America, where the welcome was less than warm, perhaps a question of left-over ideas of colonialism at that time. Derrick’s rowing career shows a long line of bigger and smaller victories. Among others they beat clubs in Mühlheim and Frankfurt am Main on their way to Denmark. Where does this success come from? Derrick swears that it depends a lot on technique. Yet the technique he advocates contradicts so much I and others have been taught. Watching his club, I tend to follow him. They do row well, very sporty and often under challenging circumstances. I say this reluctantly, but they probably do better than us. I could also imagine that the particular situation of South Africa up to the 1990s might have played a role, due to the boycotts in response to the government’s Apartheid policies. The wish to free oneself from isolation by means of extraordinary performance for me would be understandable. In addition, one can see loads of sporty people here. Among the white South Africans there are plenty of men and women who use their bodies extensively. Ambition, conceitedness, coolness or simply having fun and taking advantage of good sporting opportunities might be the reasons. Derrick, who had been professionally producing sports devices, including quite sophisticated rowing machines, moved with his wife to the Cape a few years ago. When he saw this wonderful bay (False Bay) he had the vision of rowing there. Coastal rowing had just popped up as a popular sport internationally. The trend could be taken up, and that’s what he did. (For him it surely wasn’t for the trend.) It is fascinating to see how his enthusiasm jumped over to the others and how fit his team players are. They respect his expertise and judgement, all of them. It is obvious that he sets priorities. And if you ask me I would say in a way they love him. Derrick and Allison are the heart of the club, they do not only stand for competence and impetus, but also for a warm, generous centre, around which the club can evolve. Germany is a country with a certain focus for Derrick. 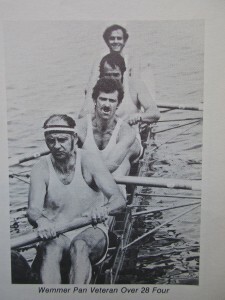 His acquaintance with a German engineer who was working in South Africa was the beginning of a friendship with the Oldenburger rowing club ORVO. They have done several rowing tours together, the last one earlier this year (2015) on the Danube, but also the River Lot in France and in 2010 on the river Weser. And the Germans there are confronted with his unflagging efforts to teach them the “right” technique. Not all of them are ready to swallow this. After all, there are different approaches to rowing. But to contradict somebody who has proved so clearly that he can achieve success is not easy. Let me at the end put a name that was dropped quite a few times in Derrick’s surroundings: Valerie Kleshnev. Seems that many of this man’s insights into rowing technique have been incorporated into Derrick’s system. Must be worth at look. 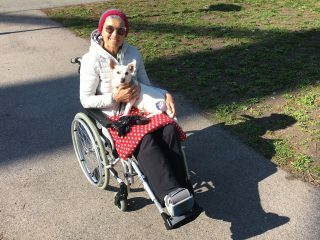 Und ich komme bald mal nach Oldenburg. Schon, dass einem das Rudern so viele Möglichkeiten eröffnet. das ist ja ein schöner Bericht aus Simons Town. Ich bin einer von den deutschen Ruderern, mit denen Derrick immer rudert und meine Frau und ich waren im November in Simons Town zu Besuch. Wir haben das Rudern mit seinen “students” und ihm sehr genossen und freuen uns schon auf ein Wiedersehen mit ihm und den anderen Südafrikanern. Schöner Artikel über Derrick! Habe ihn gleich weitergegeben an die Teilnehmer der Wochentouren mit ihm. 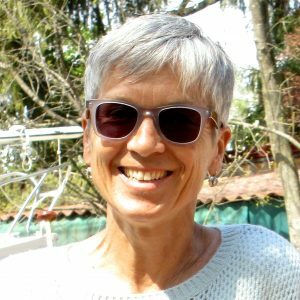 Den Link zum Blog habe ich zwecks Empfehlung im Mitglieder-Rundbrief weitergeschickt. Ich freue mich über jede Aktivität, die die Wanderruderfamilie vernetzt!